"For those who insist on the best"
Excellence Cleaning is committed to doing business the right way and is focused on environmentally friendly cleaning products, machines and processes. Our services include these environmentally friendly products and services. Host Dry Extraction carpet cleaning system is a Green Seal Certified non-wet carpet cleaning system. Your carpets are ready for traffic immediately. All products are non-toxic containing no carcinogens or reproductive toxins or allergens that can cause skin and eye sensitivity. Back Pack Pro-Team vacuum cleaning system has been cleaning for health since 1987 all their vacuums are designed with maximum filtration, efficiency, ergonomics and sustainability. 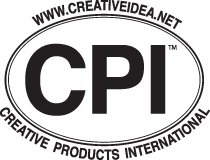 CPI Microfiber Technology maybe the most significant product innovation to the cleaning industry in the last century. Copyright © 2015 - 2019 Excellent Cleaning LLC.